Welcome on a student tour to Bath. Taken by air-conditioned coach you will arrive at 11am and can join the 1 hour walking tour with your tour guide for the day. 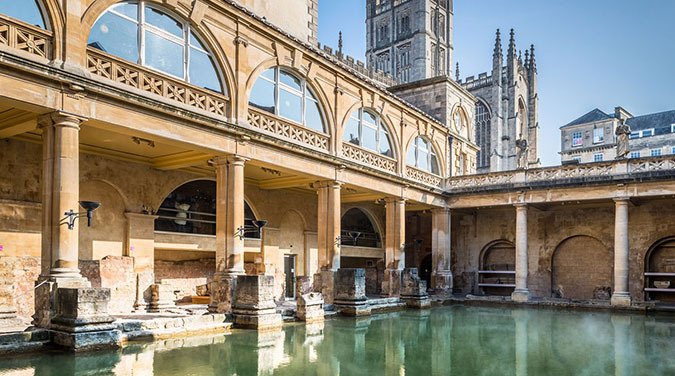 The tour guide will show you around the best sights Bath has to offer such as Bath Abbey, Pulteney Bridge, Roman Baths, Royal Crescent and much more. Free time after the tour finishes at midday for lunch and then you have until 4pm departure for shopping or sightseeing or to enjoy the free museum or art gallery, or other attractions available. 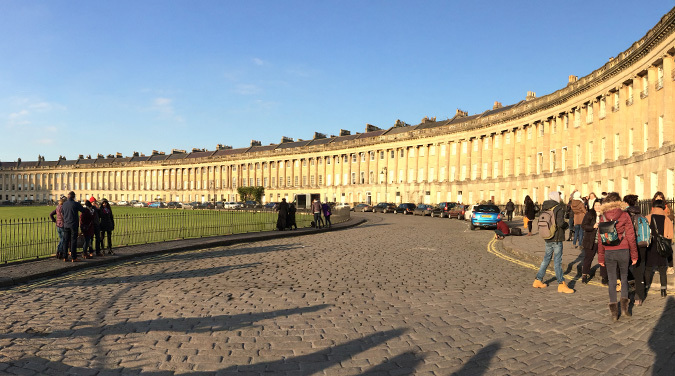 Bath is one of the most beautiful cities in the UK to see and you can learn about its Roman history and the founding of its Roman Bath complex (extra charge), and the citys rebirth in Georgian times and its triumph of architecture in the beautiful Royal Crescent. Also see the only bridge in the UK and one of three in the world that has buildings on both sides. River boat tours are available most of the year and there is also the Jane Austen Centre for fans of her books. 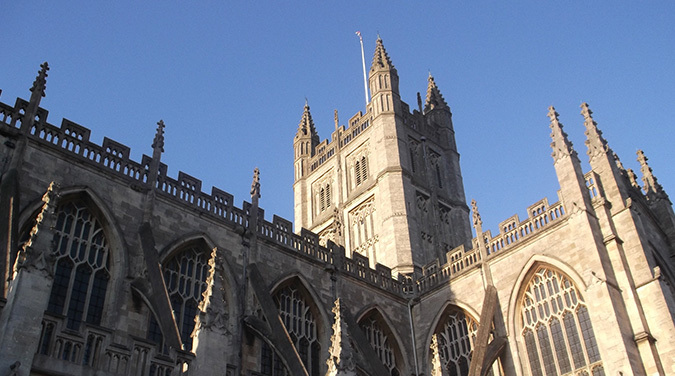 Many religious buildings such as Bath Abbey are available to visit and free or just ask for donations for entry. There are many street entertainers in the city centre and many shops of all types and of course many restaurants or cafes. 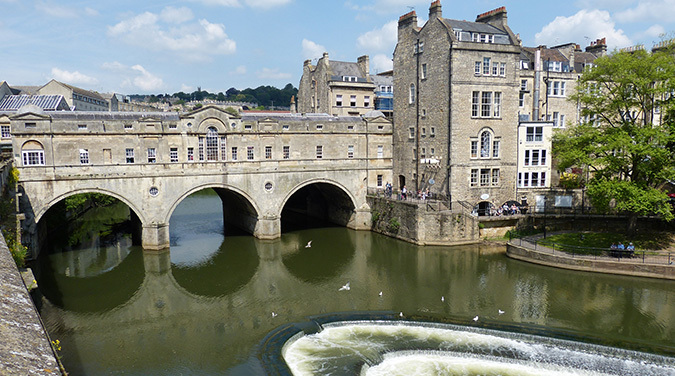 Sally Lunns is much more than a world famous tea and eating house in the centre of the wonderful city of Bath. The historic building is the oldest house in Bath. The kitchen museum shows the actual kitchen used by the young Huguenot baker Sally Lunn in Georgian Bath to create the first Bath bun. Free public art gallery upstairs (though some exhibitions may charge entry on ground floor) featuring over 1500 paintings, sculpture and decorative arts. The Abbey Church of Saint Peter and Saint Paul, commonly known as Bath Abbey, is an Anglican parish church and a former Benedictine Monastery in Bath. Founded in the 7th century, reorganised in the 10th century and rebuilt in the 12th and 16th centuries, it is one of the largest examples of Perpendicular Gothic architecture in the West Country. Cost - Donations accepted. This information shows example itineraries to use as a guideline, please note that the order we visit various attractions may change depending on circumstances or time of year. Please follow the advice of your tour manager and make sure that you are at the various pick up points and departures at the correct times.